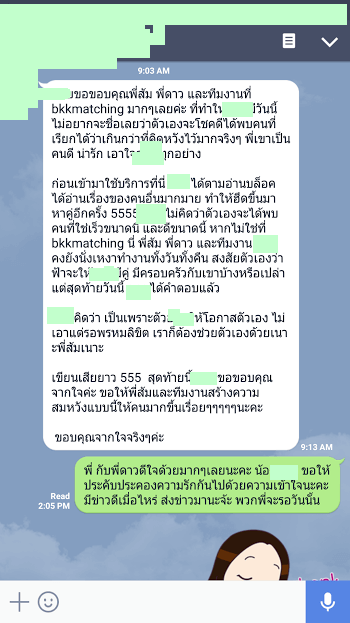 Thank youBangkokMatching's Matchmaker Team. Today I have met a very great guy. He's much more than I have ever expected.